I was simply minding my own business. Sitting happily on the front porch swing, my thoughts pleasantly lost in a good book. When a small missile flew out of nowhere. A small parcel came hurling toward me and plopped down into my lap. Curious, I gently picked it up and with two fingers opened it slowly. The contents were somewhat surprising. 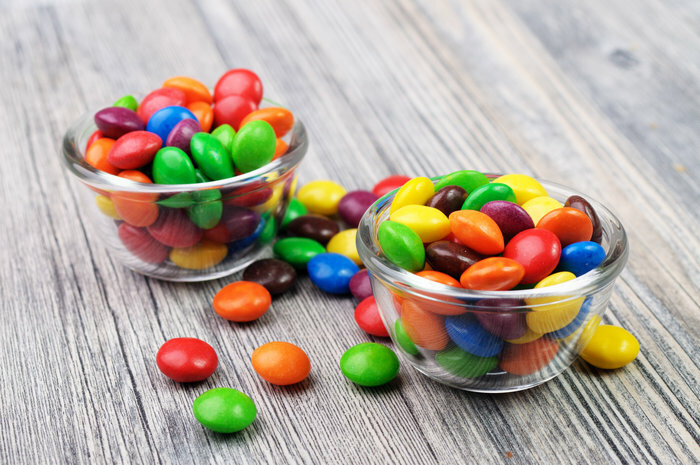 A handful of brightly-colored M&M’s – mostly chipped and melted – but M&M’s all the same. Then I saw his sweet face popping up from behind the swing. His boyish grin revealing that he was rather pleased with the success of his mission. A loving gift for his mom. Tiny chocolates from his private stash. And it touched something deep down in my mama’s soul. I don’t know what I would have liked better at that moment than a small pile of melty M&M’s lovingly gathered from his small, sweaty hands. Some of the finest qualities you can have in a husband. Then it also occurred to me that I can be more purposeful in preparing him to be a good husband. I can teach and encourage those qualities that I know will honor God and bless a future wife. So here are 7 things that go into learning to be a wonderful husband someday…. 1) Live Faithfully. Study the Word of God and walk in the Spirit. Stay true to your Lord and to your wife. 2) Give Thoughtfully. Be mindful of those little things that speak love to the other person. Look after those around you and quietly bless them with a touch of kindness. 4) Work Diligently. Learn to work hard and to work well. Be a good steward of your talents and your time. 5) Listen Carefully. Pay careful attention to the Spirit’s prompting. Listen to the needs of others – and especially your (future) wife’s heart . 6) Take Responsibility. For your attitude. For your character. And for your walk with God. Don’t fall into the trap of thinking that things just “happen to you”, but take charge of your life and your actions. 7) Love Selflessly. Put others’ interests before your own. Be willing to sacrifice for the sake of people around you – including the one who is close beside you (your someday wife). Practice living this way now, so that you’re ready to “lay down your life” for her when the time comes. So these were some of my thoughts while I was happily crunching away on those colored bits of chocolate. Grateful for the boy he is today and anticipating the kind of man he will become. My hope and prayer is that he will become a wonderful husband to a dear young lady someday. So what would you add to this list? I always appreciate hearing your thoughts and ideas! I would add… Have Patience. If you can show them patience. they will in turn be able to give patience. and they can show that patience with their wives, when she is in decisive about that paint color, and their children when they are learning algebra all over again together. LOL. Thank you so much for this list. It gives me something to pray over for my sons. Now I want that on a plaque for their bed rooms so the can see it every day! You are Amazing! As a mom of 3 wonderful boys, I need all the tips I can get to raise faithful men of god! Thank you! Great list! 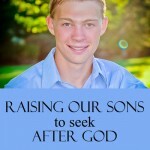 Going along with #1, I would say that we need to try to train our sons to become the spiritual leaders in their homes. We need to teach them that it will be his responsibility to lead family devotions, to be an accountability partner for his wife, and to pray for his family. These lessons are best caught rather than taught… which means they need to see their own fathers doing these things. I have never been on this site before so this is all new to me. But I have a 4yr old son and this list is a wonderful guideline on how to teach them to be the best husband they can be! I am so glad that there are ppl still out there willing to do Gods work it really does my heart good! Thank you!! I would add, repent often, and forgive twice as much. Because they will never be perfect, and neither will their mate. 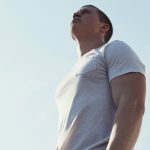 Although I agree that these things should be taught, it is important to know that many of these things will not be done to perfection, and when mistakes are made – what do we do? Absolutely, Trena! In fact, I should change it to 8 Things – asking and offering forgiveness both. I love this! The only thing I can think to add is to learn to apologize when needed. Its one of the hardest things to do. A very important addition, Miranda! LISA!!! I was on pinterest and saw this post pinned! Imagine my surprise to see your lovely face!! Anyway, I just wanted to stop in and say hi!! So glad to connect with you again! So thrilled to connect back with you after all these years! And what a beautiful family you have! Love this. And, printed it out and put with a few other articles/things I keep to remind me of my greater goal with Luke: to raise a man who loves God with all his heart! I think the only thing I might add would to live joyfully…I think when we live life joyfully as the norm, it’s easier to maintain a joyful spirit when things are not joyful at all. I know that comes out weird, but I mean it in the way that I want Luke to live in abundant joy—and I want his wife to know she is one of the reasons for that joy—so hopefully, I can instill gratitude for joy in our lives while he is young and he’ll share it as he’s older. I’ll stop rambling… 🙂 Thanks again for this great post! You know, Lori, I was thinking of your sweet little guy when I was writing this up. 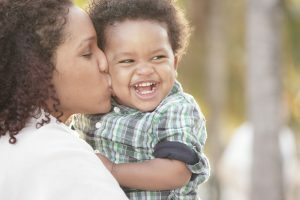 And I love the seeing the joy that is so evident in his dear face – and his mama’s too. Yes, I think JOY is a terrific addition! I love this list! You really should make this into a printable – great stuff! yes ! PLEASE MAKE IT INTO A PRINTABLE ! loved it and would love to have a copy to hang in my 10 year old sons room and one for me to help him do/become/act on these things. Sounds good! I’ll put a printable together and hope to get it out soon! Aww How precious! I love this list. As a Mom of two girls (28 & 20) and two boys(16 & 9). I see your list as one that I def need to keep in mind. My husband is all these things and more. My son-in-law has these qualities and strives to be a great husband & father. Our girls are precious and we only want what is best for them. My boys have a great example in their Dad… may we be more mindful of what we are teaching our boys! As a mom to 4 daughters, I’m encouraged to hear you say that about your son-in-law. I’m praying that for them too! 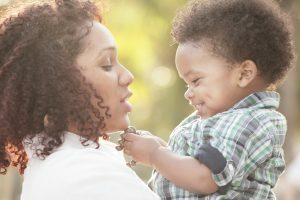 Lisa- You always bring me back to what I really need to be cultivating in my life as well as teaching my son. Thank you for sharing the sweet story of your son. I pray that God will help me as I parent this young man he has placed in my hands. Blessings on you and your young man, Shonda! I know God hears us praying moms. So grateful for His help!